Beautiful 3BR/2BA home features a wrap around front porch, an open floor plan including the living room with a gas log fireplace, a dining area & a nice size kitchen with a breakfast bar & stainless appliances, a spacious master bedroom with new carpeting, a walk in closet, a private bathroom with a double vanity, garden tub & separate shower, the 2 additional bedrooms each have a double closet, a 2nd full bathroom with large linen closet, a laundry area with storage shelves & a 2 car garage. After a day at the beach relax on your secluded rear deck or sit around your fire pit. Located just a short distance from Topsail beach, Wilmington & Jacksonville. Home has a NEST thermostat. One year home warranty included. Data updated on April 23, 2019. 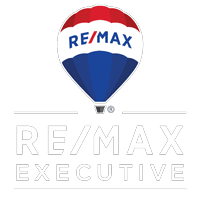 Copyright 2019 North Carolina Regional Multiple Listing, Inc. All rights reserved. Complete the form below and one of our agents will contact you. Or, if you'd rather, you can reach us via phone at .